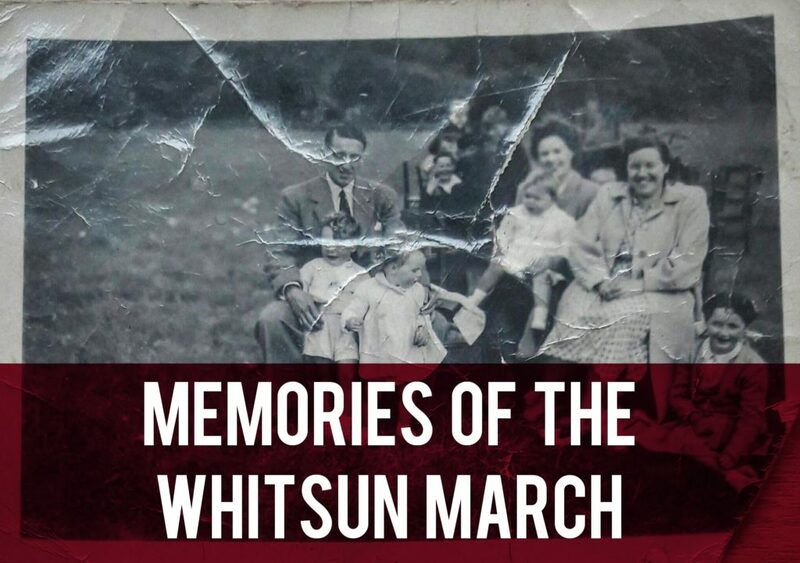 After publishing the fantastic guest post by Suzanne Phillips about our traditional Whitsun March, readers Carol and Andrea sent me some pictures of the march from the 50s and 70s. These first two photos are from the 1970 March. Notice the old Bethesda Chapel in the first picture. 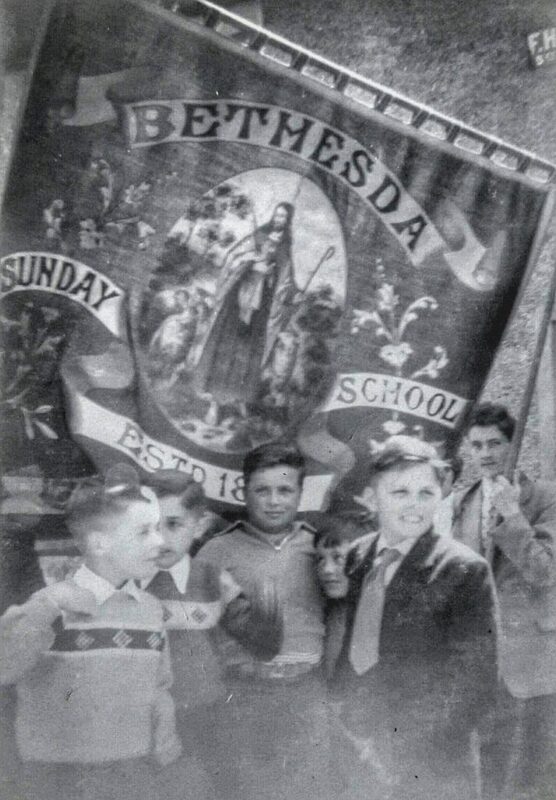 The banner in the second picture is from Hermon Chapel. 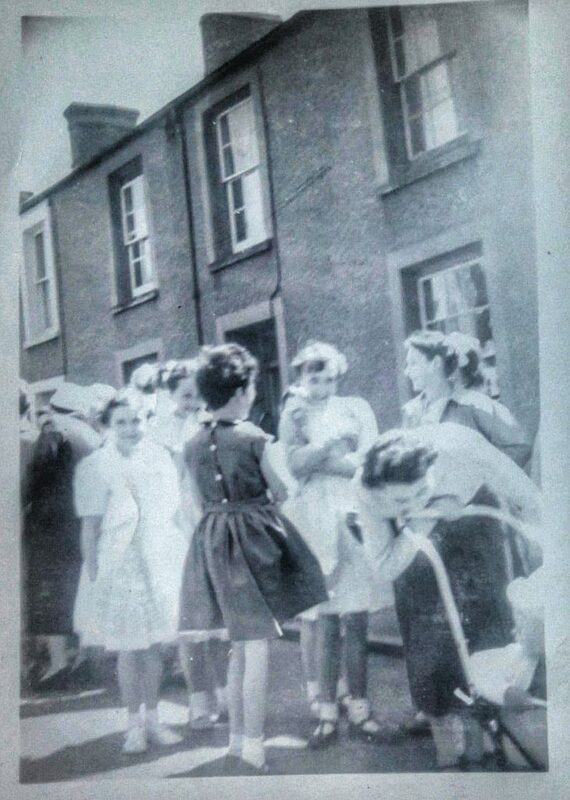 The following photos were sent to Andrea by a friend and are from the mid 1950s. The girl looking at camera on the left is Marilyn. The second picture shows Geoff Bowden and John Bowden (first and second from the left). 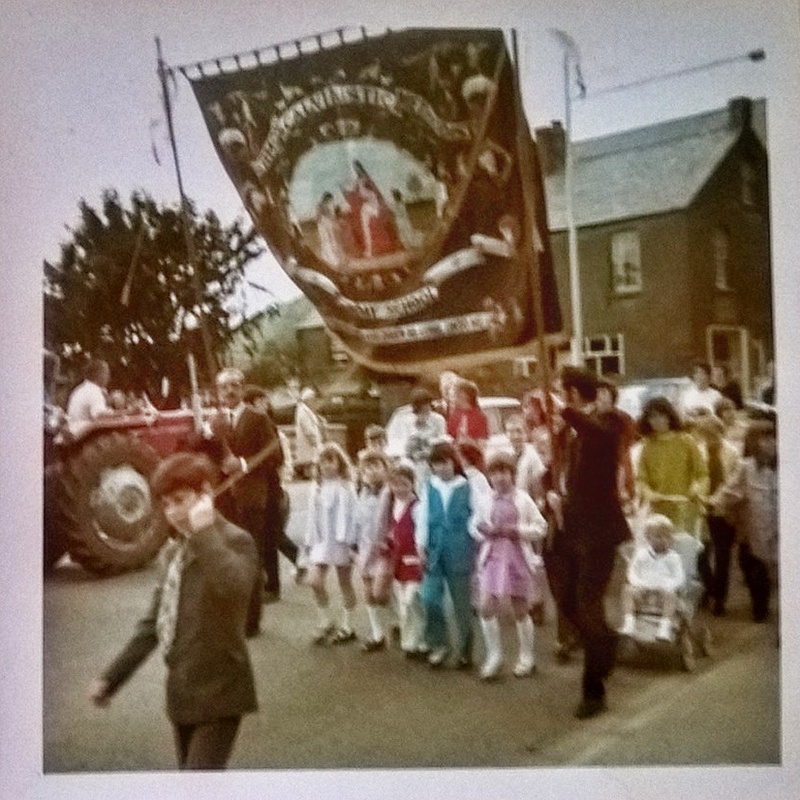 The boy wearing the tie is Roger Whitehead. 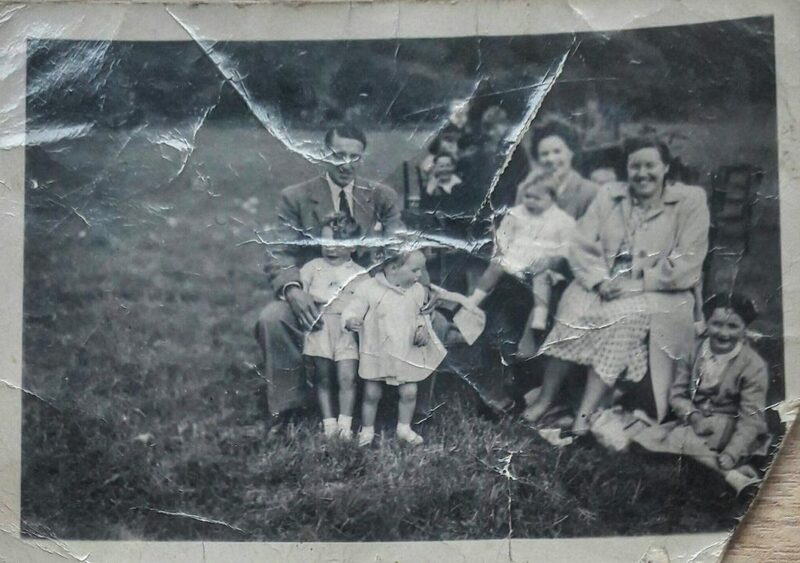 The last picture was taken at Ton park around 1950. The gentleman is Malgwyn Bowden with Gwyn and Marilyn. The baby is Susan with her mother Edwina. Malgwyn’s wife Marian is seated next to Sandra. I absolutely love these photos and can’t thank Carol and Andrea enough for sharing them with us. 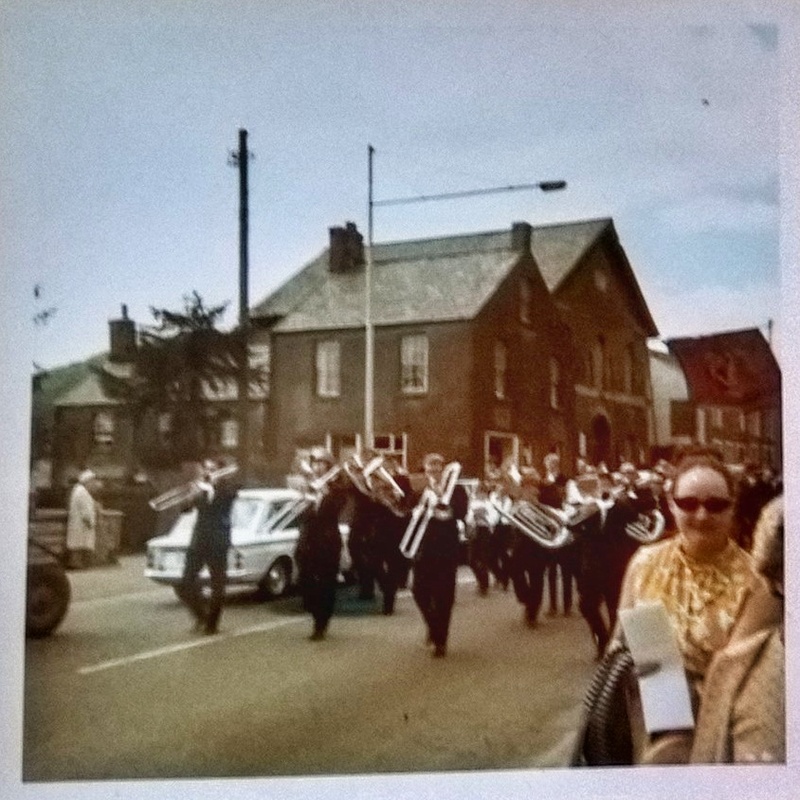 If you have any old photos of the village, or know someone who has, please get in touch. I’m collating as much information as I can about life in the village and would appreciate anything you have. Great photos! Here’s hoping force great turnout next Sunday!